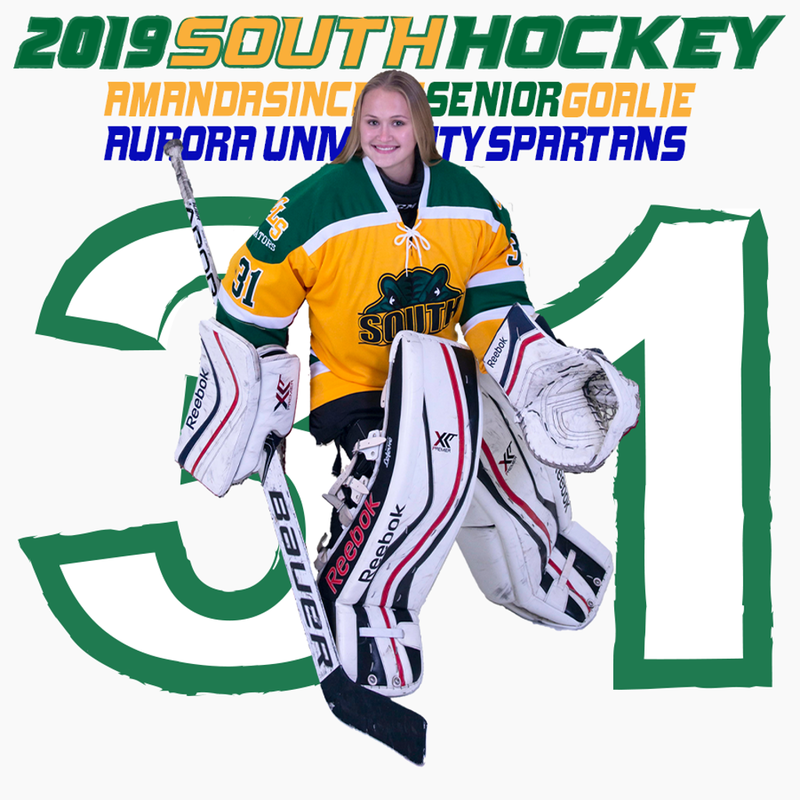 This is Amanda’s first season with the Gators, she has been a solid goaltender for the team, leading South to 11 wins including 1 shutout. Amanda also plays varsity Soccer. 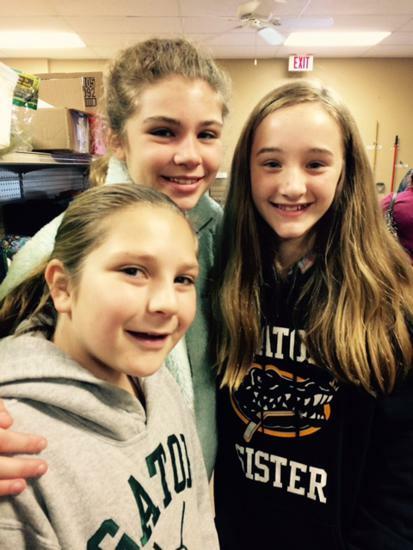 After graduation Amanda plans on attending Aurora University. Victor is a 4-year Gator. 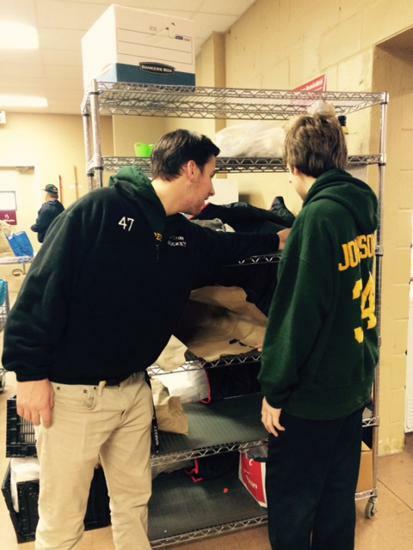 His first set of hockey gear was purchased for tryouts before his freshman year. 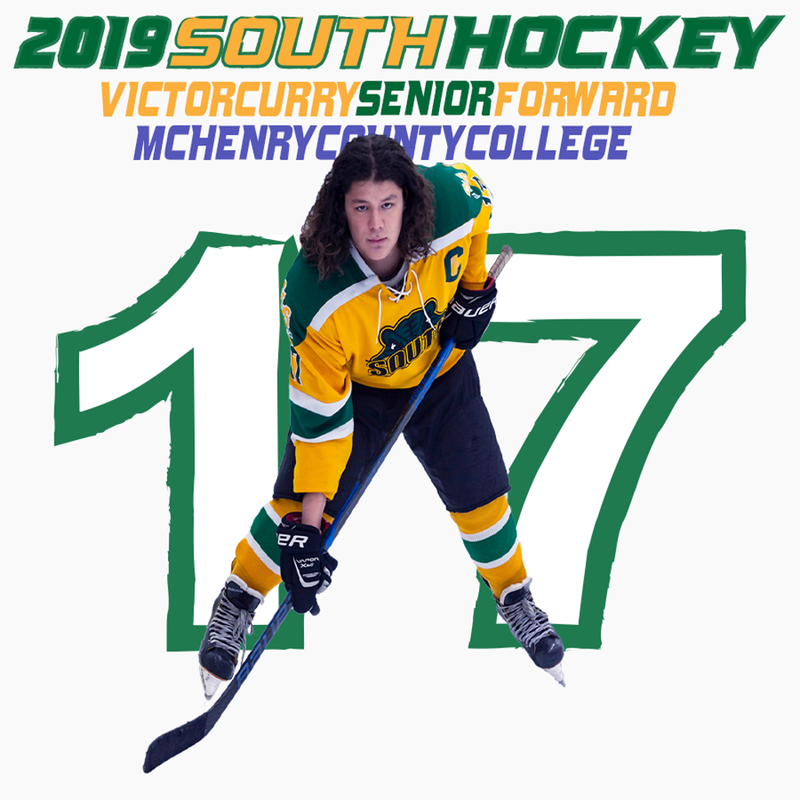 Through hard work on his part, he has blossomed into an alternate captain of the JV team as a junior and is serving as the JV Captain this year. 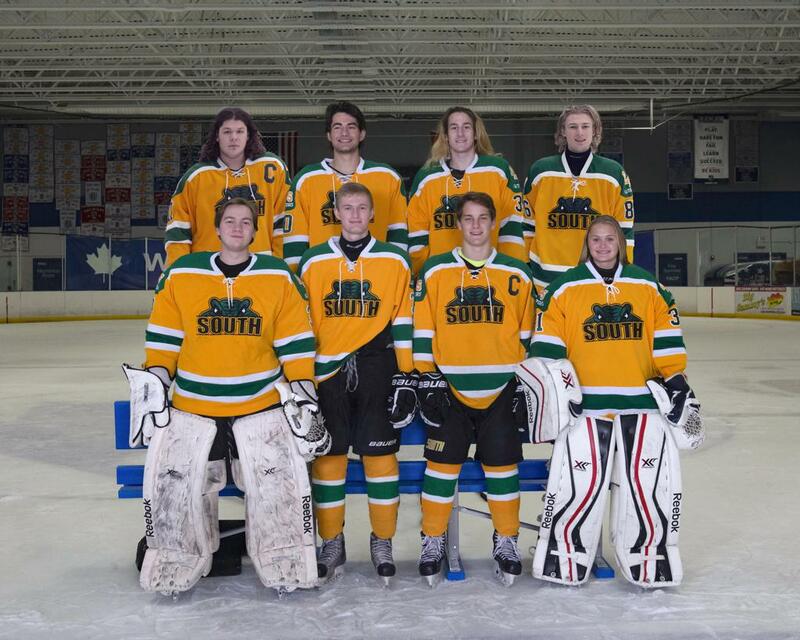 Victor represented the CLS JV team last year at the Illinois High School Hockey League All Star Game. He was also selected by the Gator coaching staff to receive the Ben Allison Teammate Award for his leadership in the locker room. Victor has 10 career goals to go along with 17 assists and 27 points. After graduation Victor plans on attending MCC. Danny is in his 3rdseason with the Gator varsity team. His speed and offensive thinking has made him a one-man outlet pass while also controlling the front of the net. 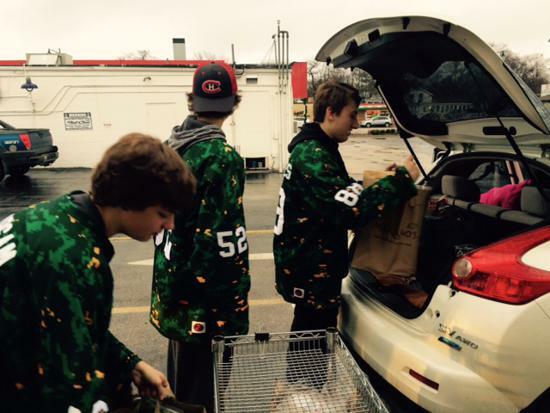 He was chosen as an alternate captain for the varsity team this season. In his three years as a Gator he has amassed 22 goals, 25 assists for a total of 47 points. 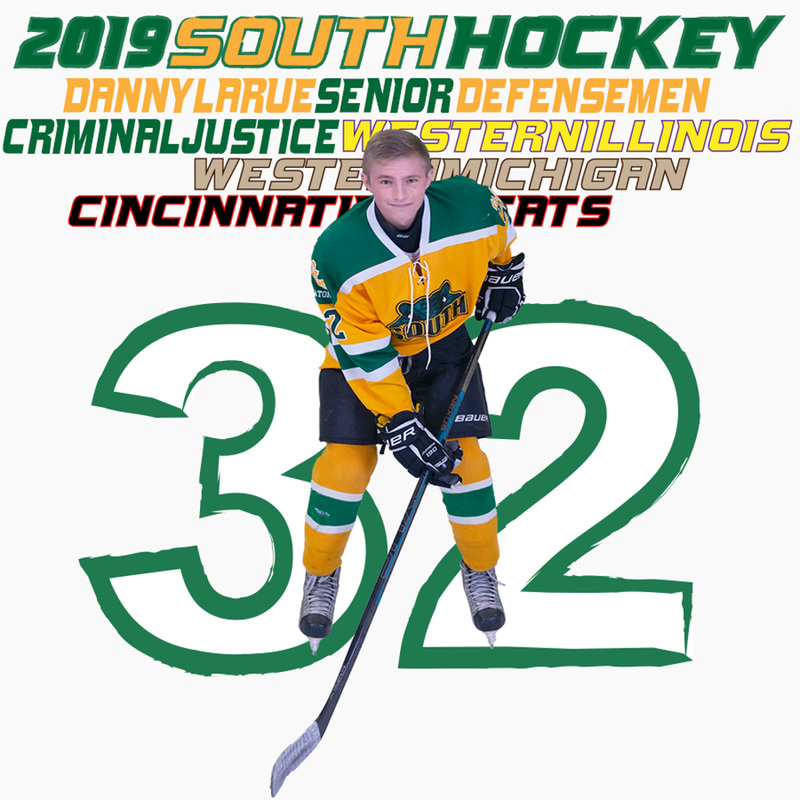 After graduation, Danny plans to study Criminal Justice and will attend either Western Michigan University, Western Illinois University or the University of Cincinnati. 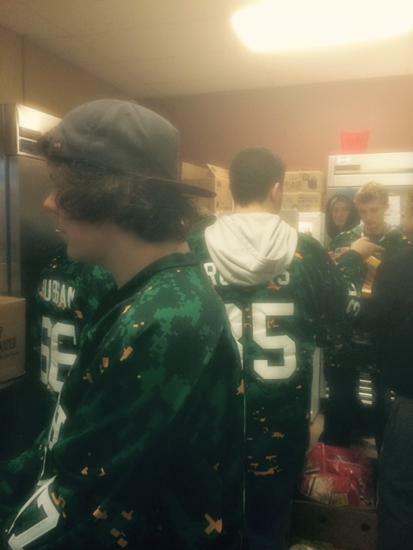 Hunter is in his third season on the Gator Varsity team. 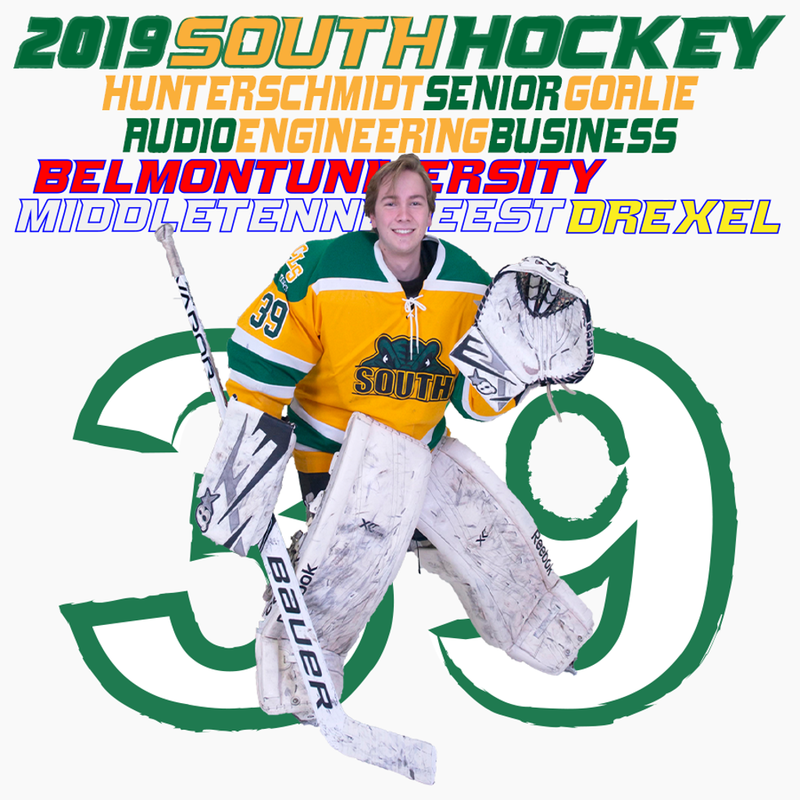 Hunter has backstopped the Gators to 33 wins, 5 of which were shutouts through his three seasons. 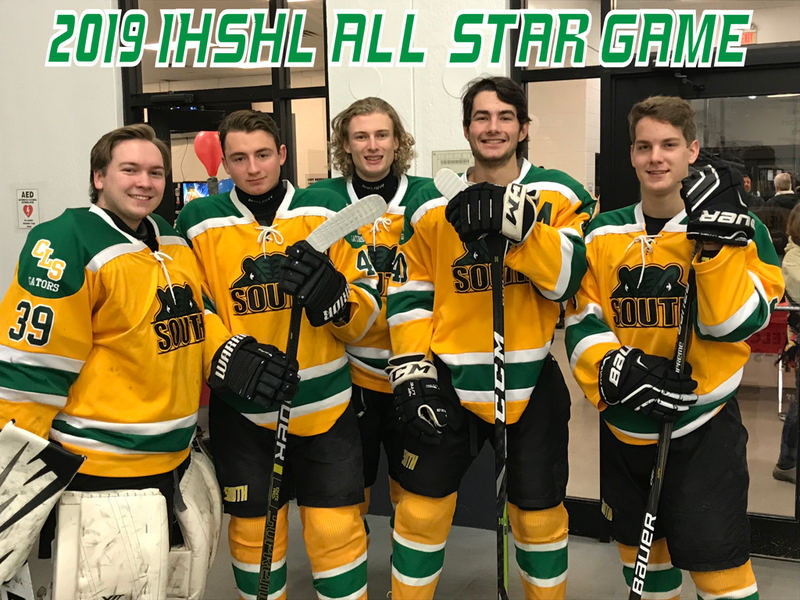 Earlier this month Hunter represented CLS at the Illinois High School Hockey League All Star Game. After graduation, Hunter will be attending Middle Tennessee State University to study Audio Engineering. 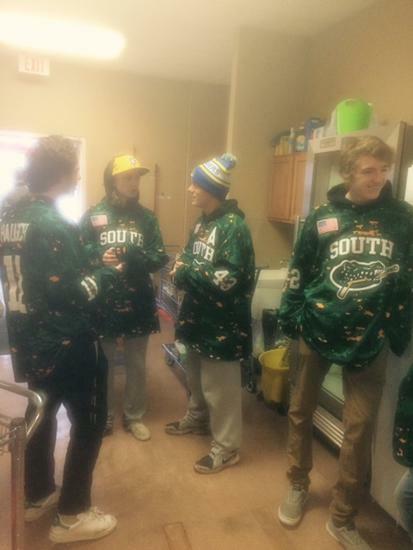 Gus is in his fourth season with the Gators and 2ndfull season with the South Varsity squad. Over his four seasons Gus has scored 80 goals, 55 assists for a total of 135 career points. 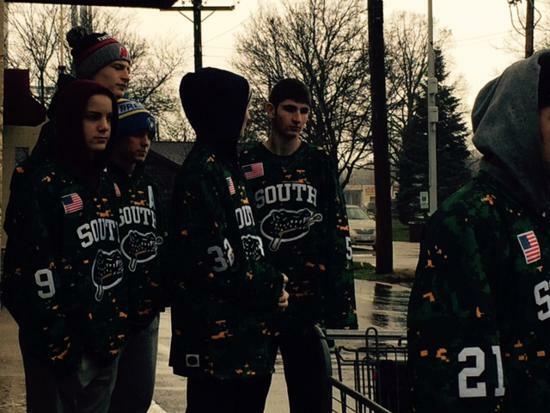 As a sophomore Gus was selected to represent the Gators at the Illinois High School Hockey League JV All Star game. Off the ice Gus has spent numerous hours studying to get his pilots’ license. 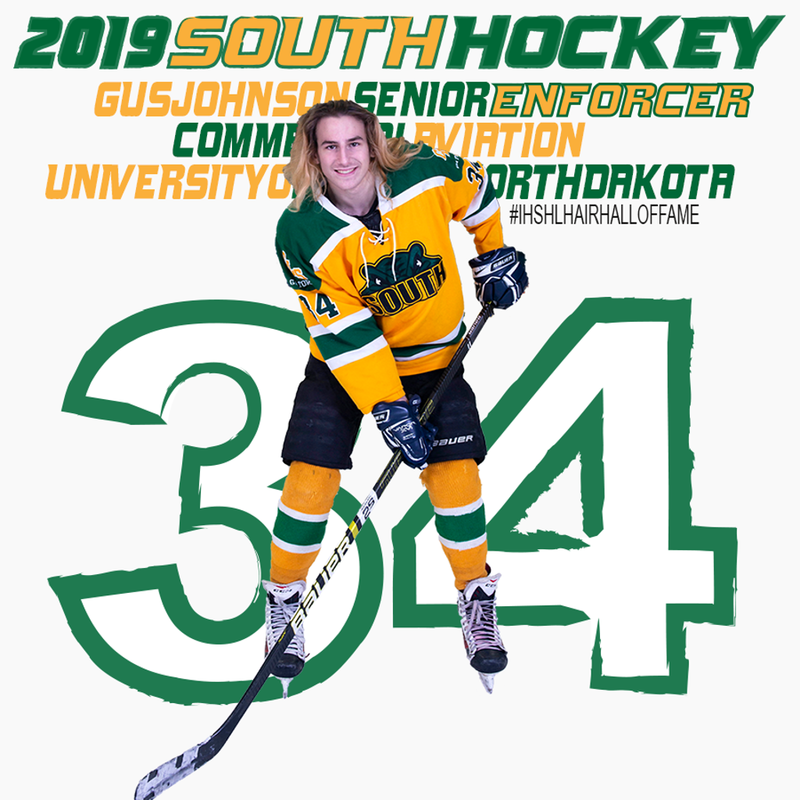 After graduation Gus will be attending the University of North Dakota to study commercial aviation. 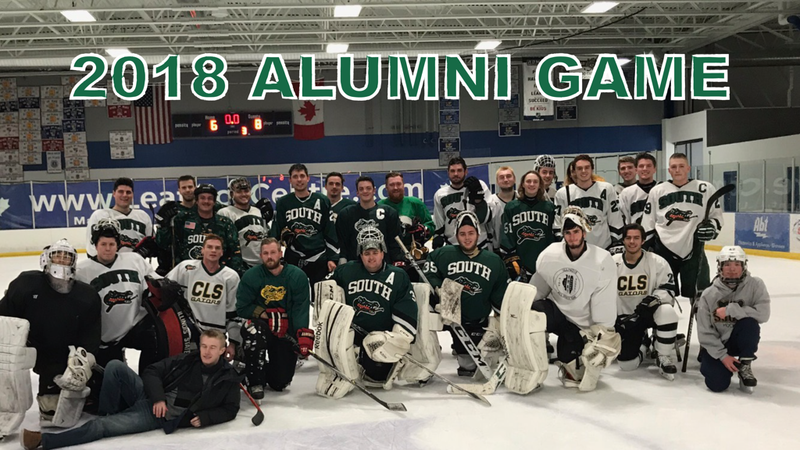 Nick has been part of the Gator program for four seasons, this is his third season as part of the CLS varsity program. Nick plays a two-way style, taking as much pride in his back checking as his scoring. 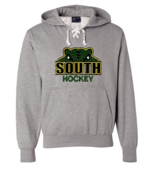 Nick has 33 goals, 32 assists for 65 career points as part of the South hockey program. 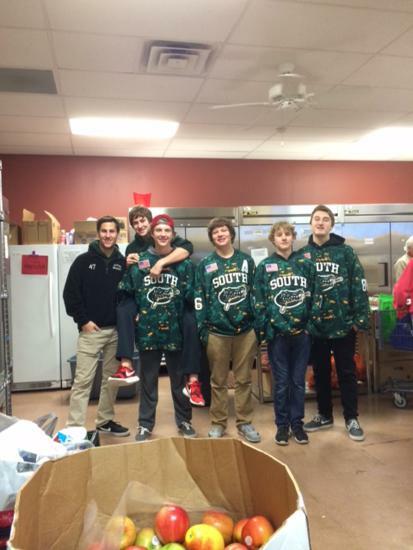 As a Freshman, Nick represented the Gator JV program in the Illinois High School Hockey League All Star Game. This past weekend, Nick again represented the Gators, in the 2019 varsity all-star game. 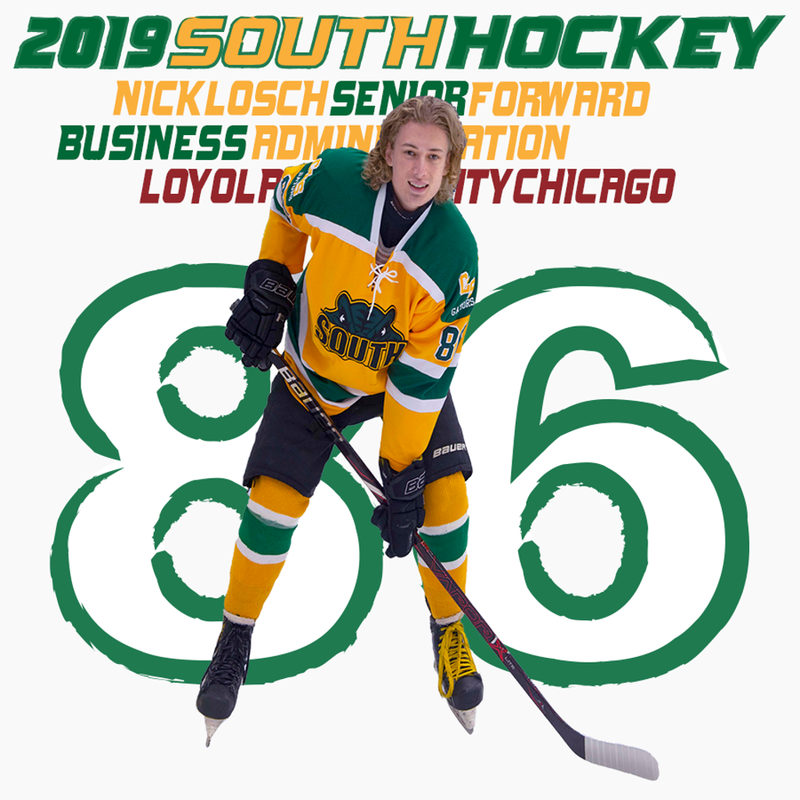 After graduation, Nick will be attending Loyola University in Chicago and will be studying Business Administration. 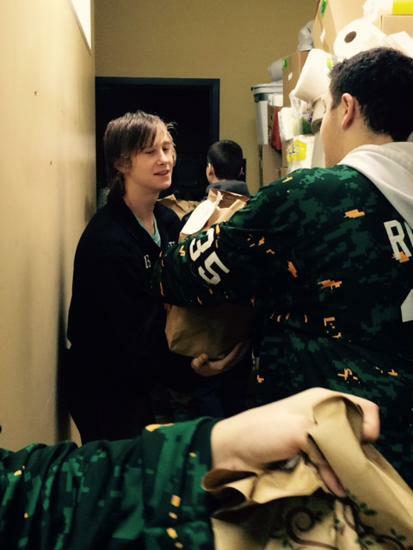 Evan is currently in his fourth season with the Gators, playing on the varsity team all four seasons. 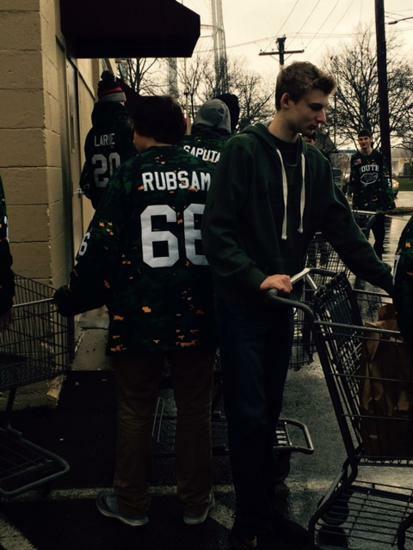 This past weekend he was selected to represent South in the Illinois High School Hockey League all-star game. 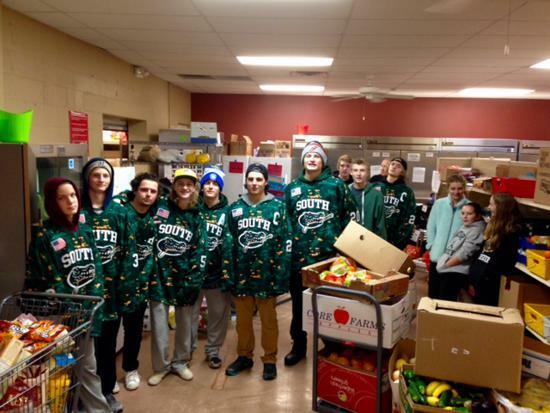 He is currently serving as an alternate captain for the Gators. Over the course of his four years, Evan has scored 33 goals and recorded 36 assists for 69 points. 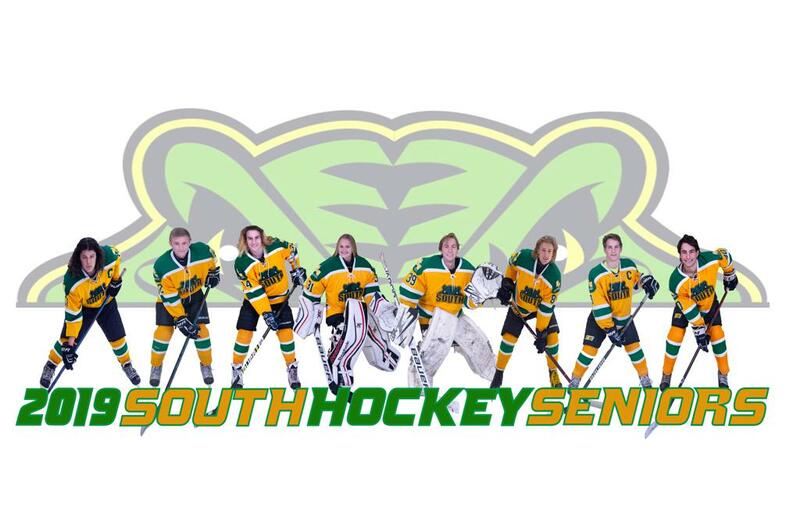 Off the ice, Evan has also been part of the Gator baseball program, playing all four seasons varsity his JR and Senior seasons. 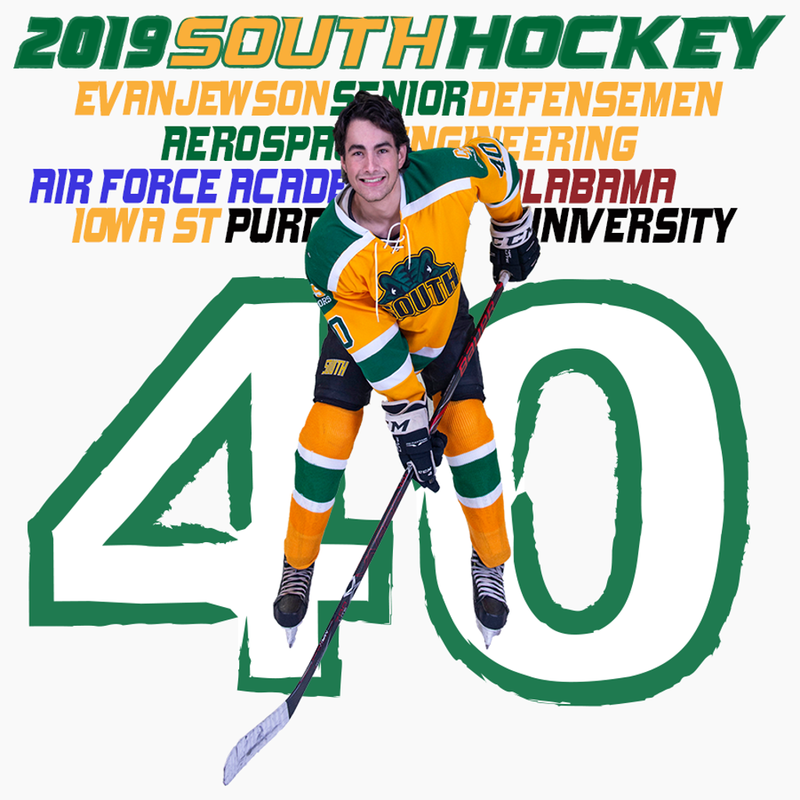 After graduation, Evan plans to study aerospace engineering. Evan has received a congressional nomination to the US Air Force Academy. In addition to the Air Force Academy Evan is considering Purdue University, Alabama, and Iowa State. Evan also plans to walk on to play baseball at the school he chooses. Michael is in his fourth season with the Gator varsity team. Over the course of his four seasons, Michael has scored 86 goals to go along with 90 assists for a total of 176 total points. 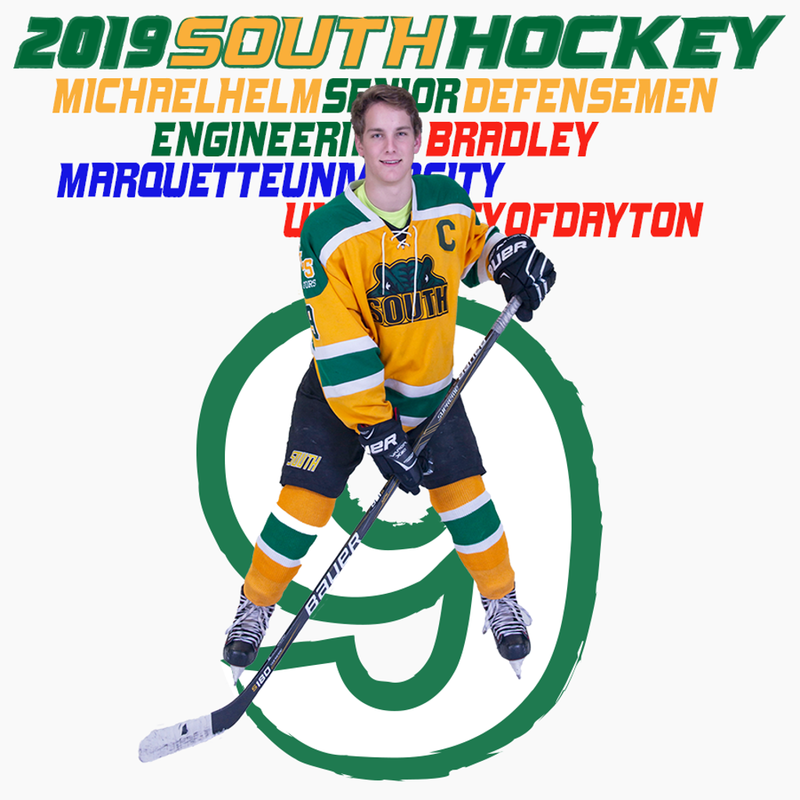 Michael is currently serving as a Gator captain, he has played in 3 Illinois High School Hockey League all-star games over the course of his CLS career. In addition to his hockey successes, he is also a two-year varsity lettermen in football, having played 4 years for the CLS football program. He also played 2 seasons on the gator baseball program. Michael plans to study either business administration or engineering and is looking at Bradley University and Marquette. He plans to continue his hockey career in college. Congrats to Dylan McNeill on his trip to the IHSHL JV All Star Game! Well Done Dylan! CONGRATS TO JV ON THEIR CHAMPIONSHIP IN INDY! Effective Immediately AHAI has changed the rules for Spectator Incidents. Please read the full policy in the link below. 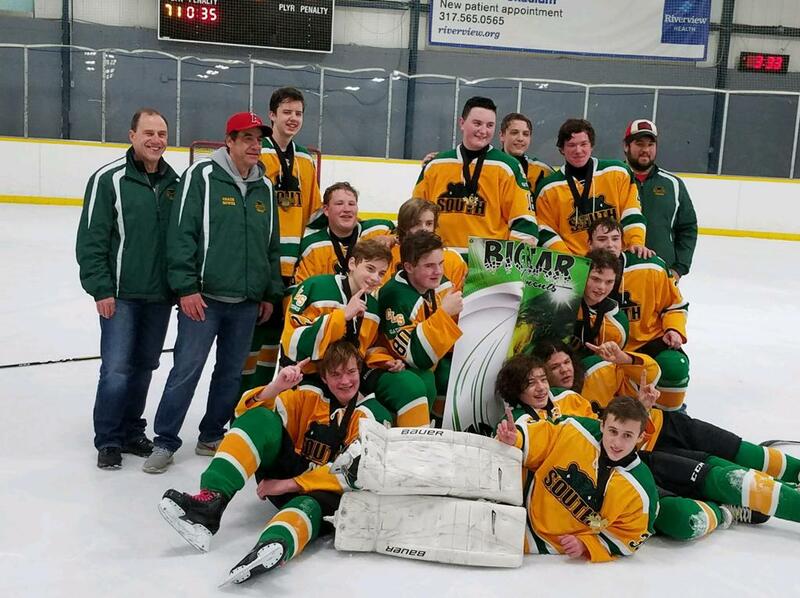 A game will be stopped by on-ice officials when the parents/spectators displaying inappropriate or disruptive behavior interfere with other parents/spectators or the game. 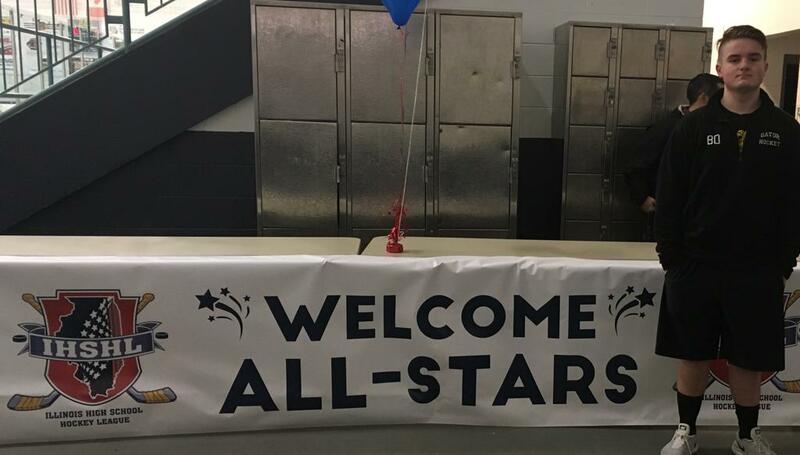 The on-ice officials will identify violators to the coaches for the purpose of removing parents/spectators from the parents’/spectators’ viewing and game area. Once removed, play will resume. Lost time will not be replaced. Violators will incur a minimum mandatory 3-game suspension from that team’s games and may be subject to further disciplinary action by the local governing body. The reasons for this necessary minimum 3-game suspension rule are simple; last season there was a marked increase in parents’/spectators’ behavior being out of control. These behaviors included verbal and physical altercations with officials, players and other spectators. Additionally clubs/teams that have a responsibility to help control and penalize these behaviors were asking for guidance from AHAI. No matter why a spectator is asked to leave, the minimum suspension is 3 games. There is emphasis on a minimum of 3 games.